You can be confident any merchandise shipped in these extra tough 10 1/2 inch x 16 inch Kraft Bubble Mailers will arrive safely. 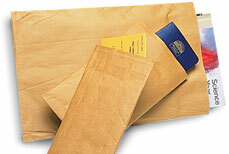 Made with 50# kraft exterior and 3/16" air bubble interior, these bubble mailers are the ultimate in quality. Light-weight air bubbles also save you money on postage costs. 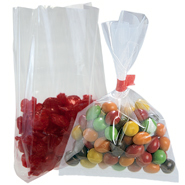 You have a variety of options for closing these envelopes securely you can staple, use packaging tape or heat seal with one of our Thermal Impulse Hand Sealers.